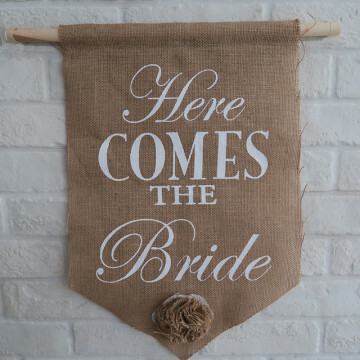 Signage featuring 'Here comes the Bride', whether you have Ring bearer, Page boy or Flower girls, they are awesome. They help to usher the both Bride & Groom along the aisle. Give them a sign that will charm your guests, because everyone loves an adoring crowd! Signage featuring 'Here comes the Bride and Groom', whether you have Ring bearer, Page boy or Flower girls, they are awesome. They help to usher the both Bride & Groom along the aisle. 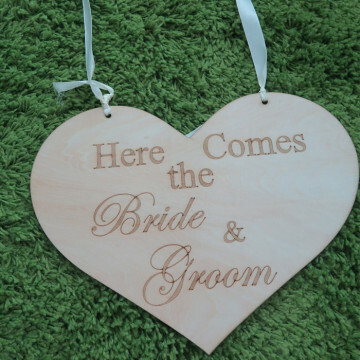 Give them a sign that will charm your guests, because everyone loves an adoring crowd! Ring bearers, page boys and flower girls have always been adorable , and to give them a sign to carry during the ceremony takes the cuteness to a whole level! 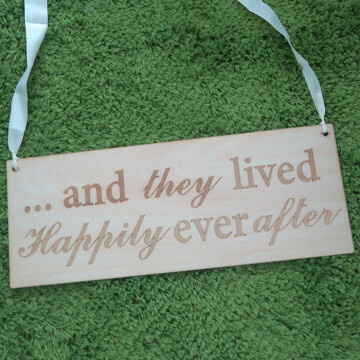 Featuring signage with message of 'And they lived Happily ever after', the little adorable ones will have fun holding this sign as they makes their walk down the aisle.